Looking to get away from it all? 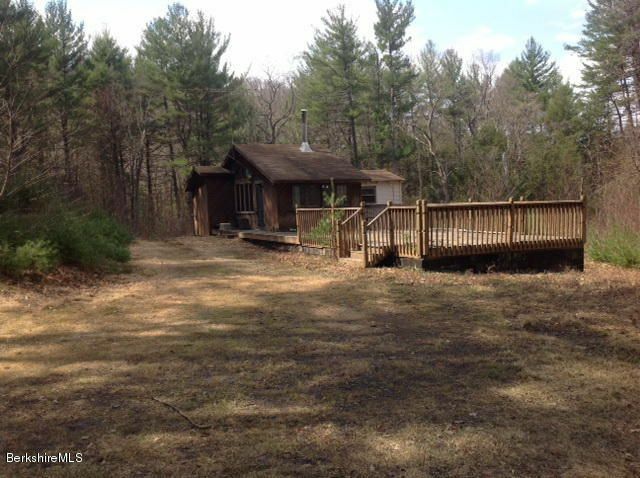 Here it is, this 3 room Bungalow sits on almost 5 acres surrounded by beautiful woods and forest yet less than 5 minutes to Route 20. 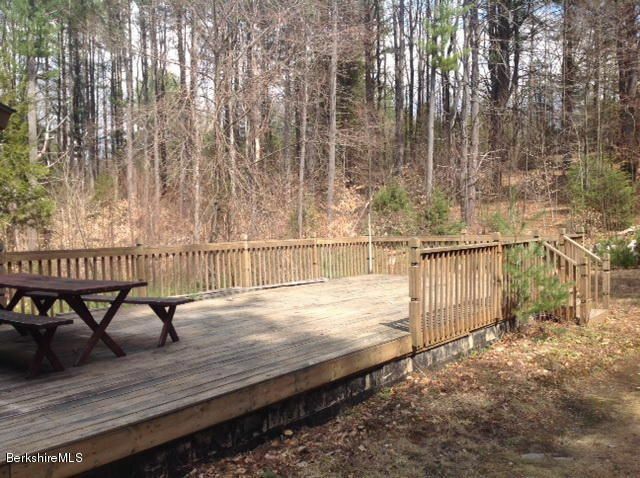 Sit on the oversized deck and listen to the birds, watch the wildlife, do some grilling or just enjoy the peacefulness. 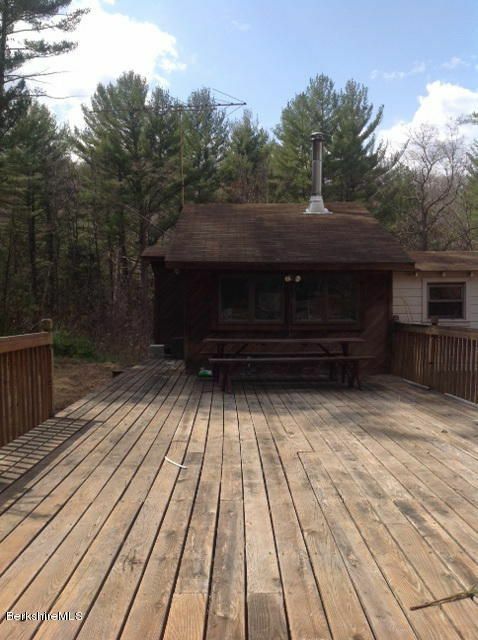 Deck is on concrete block and could potentially be used for an addition to make this a home for the family. New hot water heater and well approx 5-6 years ago. 20 minutes to Lee, 30 to Westfield or Pittsfield and 45 to Northampton. 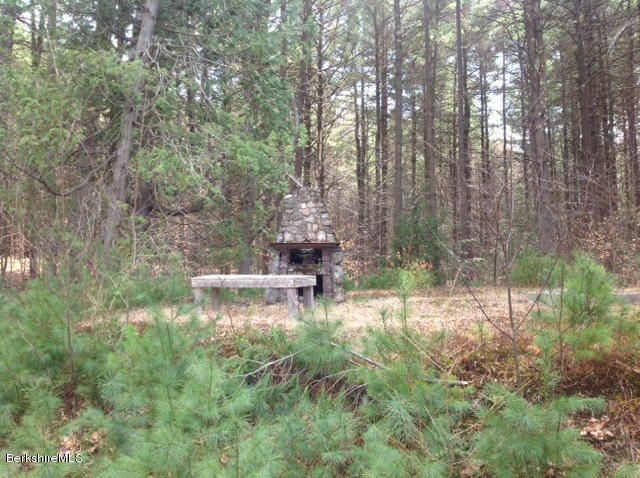 Full time, a summer home or a hunting camp, this house has many possibilities. Check it out.